This interview was much unexpected fun! *gloats* at mention in the jubilee souvenir. Thaji is lost for words. She can’t begin describing the experience, a dream that “actually happened”. “I was in tears just before I got on stage that night” she tells me, of her first performance at the Joyce Theatre in Manhattan, NY. As part of the Chitrasena Dance Company, it was Thaji Dias’ great privilege to be on stage at ‘Samhara: The Braid’, an international dance collaboration that premiered this February in India and then toured internationally to flattering reviews. For six straight nights, Thaji presented Kandyan Dance with Mithilani Munasingha to a sold out audience glittering with famed dancers and choreographers such as Mikhail Baryshnikov and Mark Morris. Dancing alongside them were renowned Odissi performers Surupa Sen and others of the Nrityagram Dance Ensemble. If you’re familiar with the two dance forms, I reckon you’re incredulous. If you’re not, let me explain. 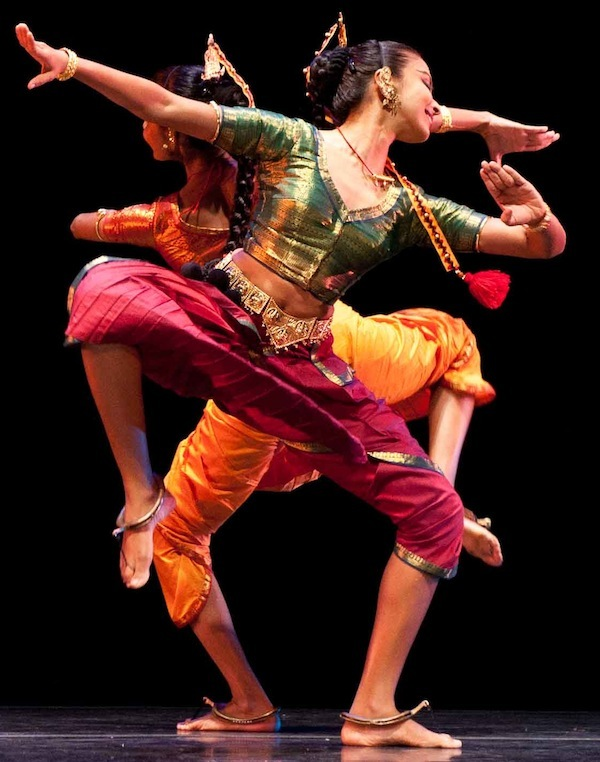 Marina Harss of ‘DanceTabs’ magazine writes: “Kandyan dance is more vertical, Odissi is all curves; the first is dynamic and muscular, the second fluid, ever-shifting, difficult to pin down; one is more athletic, the other more theatrical and poetic. The contrasts are endless.” So despite a common South-Asian heritage as well as a shared performance ethic, the two forms are vastly different in their delivery, if not in the basics, then (to this untrained mind) in the level of human perception they attract attention from. No one thought it was possible. According to Heshma Wignaraja, choreographer at the Chitrasena Dance Company, neither company is inclined to producing “fusion or whatever you call it”, and the only reason ‘Samhara’ was possible was because both companies functioned within a framework of “complete respect” for the other’s form. The production is hardly a performance gimmick and is more a labour of love and learning. “If my aunt was here, she would jump to tell you it’s the love they have for each other” Thaji laughs as Heshma mischievously tells me how the collaboration was a result of the strong friendship between two world-class dancers Surupa Sen and our own Upeka Chitrasena. Yup, it’s largely a family affair. Thaji and Heshma are in fact, first cousins, granddaughters to Chitrasena and Vajira. It seems that these strong personal bonds between the artists and the mutual admiration and respect are what finally carried the production through to its success. From July to October of 2011, Heshma and Thaji travelled often to India, spending two-and-a-half weeks at a time at the Nrityagram Dance Village in Bangalore. From their description of it, only an intense love of art and perfection could have kept them going through the gruelling twelve-hour work-days of conceptualization and rehearsal that ultimately resulted in a satisfactory union of the forms. The name ‘Samhara’ (which means “gathering” among other things) as well as the tag ‘The Braid’ are symbolic of this “union”. In case we are being misleading though, Heshma is very particular that they were never interested in producing a “fusion” of Kandyan and Odissi. ‘Samhara’ is in effect a dialogue, not a chorus. And the dialogue takes place in two vastly different ‘languages’. The issue for artists set off on such a venture is far greater than that for those set to fuse languages, because bilingual dialogue is also concerned with the problem of staying “true” to each “language” and still being intelligible via the other, to avoid disjointedness. And unquestionably, the learning experience has called Heshma as choreographer for the Kandyan dancers to push the boundaries of the tradition into which she was born and bred. She is excited about the possibilities though keenly aware of the sensitivities of such experimentation. Even during the conceptualization of ‘Samhara’ she spent days in thought with Thaji and their aunt Upeka, weighing the implications, within the tradition of Kandyan dance, of the “movements” and “phrases” they composed. Despite the long and arduous process though, both are unhesitant in declaring that the time, energy and mental and physical exhaustion were fully worth it. “We loved every moment of it!” Heshma declares, gazing knowingly at Thaji who smiles back with an asserting nod. The cousins often share smiles and giggles like youngsters, as though they are in disbelief of the dream they have lived. Working with Surupa Sen and performing at the Joyce Theatre has evidently been a life and ethic altering experience for them. “The whole production says a lot about Surupa” Heshma says admiringly, “because she doesn't flaunt herself or her achievements, she is simple and true”. Far from a collaborative “performance” by the Chitrasena Company and Nrityagram Ensemble at the Lionel Wendt, what I expect ‘Samhara’ will offer on the nights of 12 and 13 May from 7pm onwards will be a sharing of joy and of a new discovery. Not a jarring and forceful mix but a sublime dialogue of love.